Tom Heimbach, who concentrates his practice in the area of employment and labor relations in our Allentown office, gave a speaking presentation on Negotiations on February 23, 2017 for the Government Finance Officers Association – PA East. 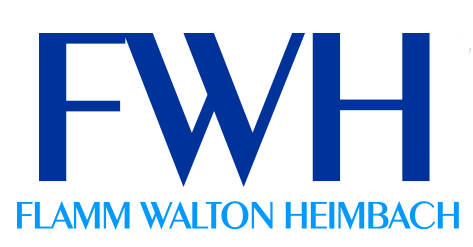 March 1, 2017: Attorney Richard H. Maurer joined Flamm Walton Heimbach as a shareholder/partner. The Firm has expanded its regional litigation practice by bringing in Mr. Maurer who has a Federal Criminal Defense, including White Collar Criminal Representation, and Civil Rights Litigation practice, into the Firm. Mr. Maurer will split his time between the Firm’s Blue Bell and Allentown offices. Formerly a Partner in two large Philadelphia firms, Mr. Maurer has tried a wide variety of cases, including class actions, personal injury claims, and commercial cases. July 1, 2016: Attorney Thomas P. Stevens joined Flamm Walton Heimbach as a shareholder/partner. Mr. Stevens brings over 25 years of experience in complex commercial litigation, construction litigation, shareholder and corporate litigation, and employment litigation to the Firm. Mr. Stevens also advises business clients in negotiating and developing key business and contract forms, mergers and acquisitions, and business succession planning. Finally, Mr. Stevens will be lending his litigation experience to the Firm’s Creditors’ Rights Department. The Firm’s litigation department will be able to support Mr. Maurer’s and Mr. Stevens’ individual expanding practices. Flamm Walton Heimbach will now have 15 attorneys with a varied commercial practice, including, labor/employment law, construction, banking, creditors’ rights, corporate law, trusts and estates and general litigation of business, civil and criminal defense.